Martin Bushby is joined by Daniel Richardson to discuss his 14-year career in wrestling. They talk his early days backyarding with Neville, his career in the ring as Dragon Aisu with 3 Count Wrestling and his experiences both wrestling and promoting for the infamous 1PW. 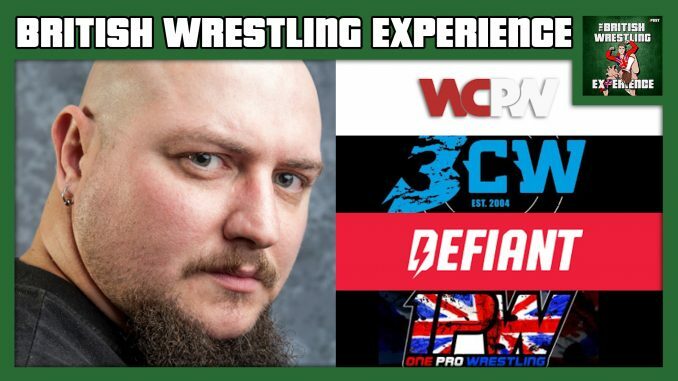 They also discuss his time behind the scenes booking for What Culture Pro Wrestling and its successor Defiant Wrestling, his dealings with WWE, his consulting role on World Of Sport and the many books he has authored under the pen name James Dixon. Photo Courtesy: Daniel Richardson, 3CW, WCPW & Defiant.